RTI International is an independent organization dedicated to conducting innovative, multidisciplinary research that improves the human condition. With a worldwide staff of more than 4,000 people, RTI offersi nnovative research and development and a full spectrum of multidisciplinary services. USAID PROTECT requires the services of an Operations Officer to manage all office services procurement and purchasing activities and the overall logistics coordination for the smooth implementation of the administrative and operations processes. Manage project visitors and correspondence through physical, email and telephone coordination/support. Provide guidance to visitor such as partners, home office staff, project staff, and others to support the project activities. Prepare monthly activity plans that detail all activities and events to provide the necessary logistic support. Facilitate the coordination of travel logistics for the project staff and international visitors in collaboration with technical staff and project leadership. Organization of procurement following RTI’s procurement procedures (acquire quotations from suppliers, prepare bid comparison reports, and making purchases of all office services). Keep the tracker of all ongoing procurements and service contracts up to date. Manage and coordinate day-to-day administrative tasks and financial operations (i.e. make payments for provided services and bills, ensure validity of all office expenses and availability of all the necessary basic backup documents/receipts). Work in collaboration with the Finance department by supporting the Finance and Administration Manager(FAM) with the preparation of budgets related to meetings, training events, seminars and other activities including arranging for training sites, transport, meals and other logistics as appropriate. Manage and use the project established systems, to manage cash payments during events, including preparing advances and reporting against those expenditures, verifying support documentation. Work in collaboration with the Finance department to assist the FAM in maintaining procurement files (hard and electronic copies), using RTFs procedures and systems. Coordinate transportation schedules and support the Driver organize the project vehicle schedule. Maintain and update office inventory ensuring the proper use of project assets, and keeping it updated using RTI’s systems and procedures. Manage petty cash following RTI’s established procedures and protocols. Demonstrates an understanding of USAID policies and procedures, rules and regulations for finance, operations, and procurement. Basic understanding of USAID project implementation. Must be fluent in English, with strong report writing ability. Ability to work in a fast-paced environment and meet deadlines under pressure. Ability to work independently and within matrix project and program teams. Email cover letter and CV to hr@tzprotect.org by February 04, 2019. Applicants must include the POSITION TITLE in the subject line of the email. Please do not attach copies of certificates. Only shortlisted applicants will be contacted. 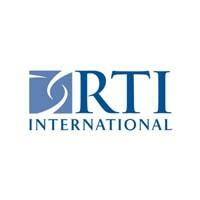 RTI International does not use agents or require any form of payment in the recruitment process.